But first, let’s review why influencer marketing (or, to use the term I prefer, influencer outreach and engagement) should be part of your digital marketing mix – especially if you’re a B2B seller. 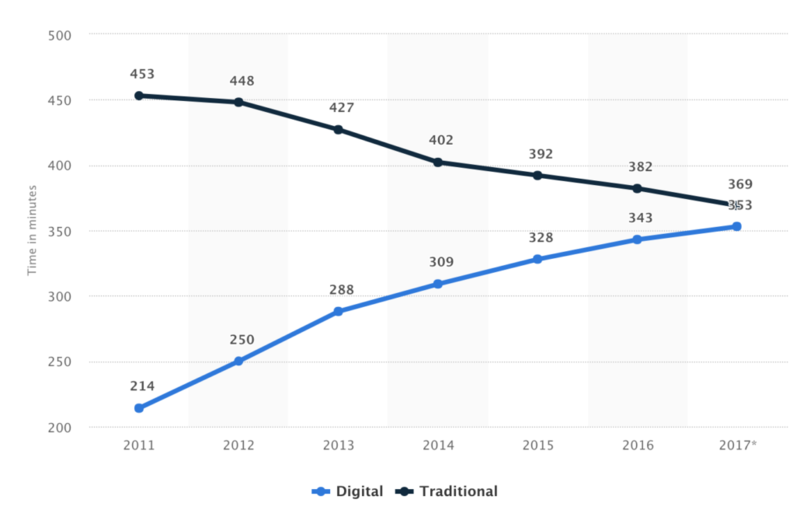 If you read and share content online, you’ve probably also observed that there has been an increase in great content online, yet people seem to be sharing less and organic reach seems to be falling. Among the reasons for this decline is that social networks have been monetizing their services and reducing organic reach in order to charge for sponsored posts and advertising. Mark Traphagen examined this trend in his excellent article for Search Engine Journal and concluded, using “machine learning” as a sample topic, that there was substantially more content available, but less sharing of that content. Of course, if you want more people to see your content, you can always pay for greater visibility by advertising or sponsoring content on social media or search sites. That’s a good solution for some businesses in some situations, but it can get expensive and it’s highly transactional. When you stop paying, you stop getting seen. This has led many individuals and businesses to look to influencer marketing as a complement or an alternative to paid media strategies for increasing online visibility more sustainably. Micro-influencers are emerging as important players in many online settings, but particularly in B2B sales. 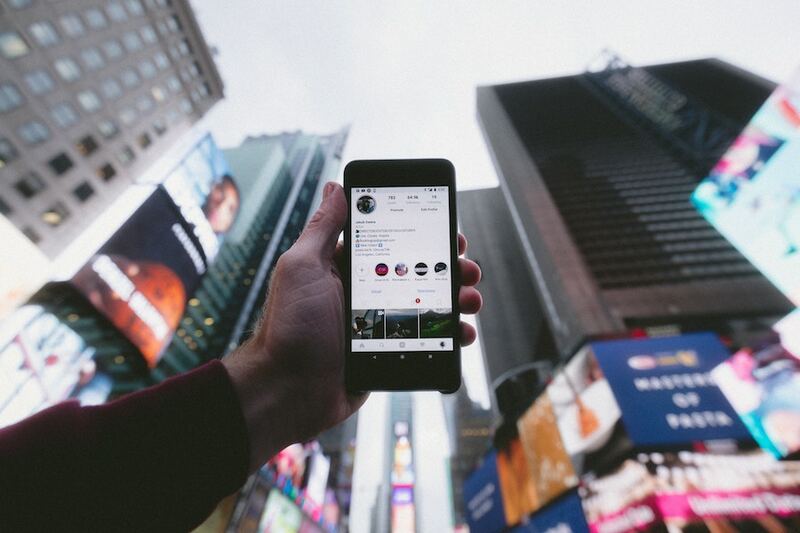 As distinct from macro-influencers who are often well-known celebrities with large, general interest audiences, micro-influencers are people who share actively online and have attracted very targeted audiences. These micro-influencers have built their audience around their subject matter knowledge and credibility, so their audiences trust them. Engagement is typically stronger with micro-influencers than paid media and advertising precisely because of these qualities of the influencer’s relationship with their audience. Outreach strategies aimed at these micro-influencers can help you overcome the challenges of reaching your target audiences online because these influencers are the gatekeepers of your target markets. By getting to know the micro-influencers in your industry segment and building relationships with them, you and your business can become more visible and better known within their communities of followers. Now, before I explain how LinkedIn Sales Navigator can be used in influencer engagement, it’s important to point out that influencer outreach strategies are best undertaken by individuals, not corporate brands. While corporate brands can (and should) support influencer strategies and benefit enormously from them, individuals are best suited to engage influencers who themselves are individual people. LinkedIn Sales Navigator is a premium tool (approx. annual subscription is USD $600) that is built for sales professionals. It offers a powerful search function to identify leads, then makes it very convenient for tracking those leads and their activities on LinkedIn and communicating with them, as appropriate. A lead can mean many thing to many people. To a salesperson, a lead is a person who has some interest in your solution but you need to further qualify their need and readiness to buy. However, if you’re setting out to engage target influencers, a lead can be an influencer that you’d like to get to know better, develop a relationship with and build some social capital. For the purposes of this discussion, I’ve used the term “social capital” broadly to mean you want the influencer to have some kind of awareness of and goodwill toward you. With this framework in mind, let’s look at how you can use LinkedIn Sales Navigator to track and engage influencers. Search Google for influencers in your industry. Many people are publishing influencer lists and these can be a good starting point for identifying your target influencers. Use social analytics tools to find influencers. Many paid influencer discovery tools exist today and they can help you get started. Review the speakers at top conferences. This is a great way to figure out who is influential in your industry. Ask people. Word of mouth is still one of the most powerful ways to identify key influencers. Search for each of the identified influencers in LinkedIn Sales Navigator, then add them as a lead. The person being added does not receive any notification when you add them as a lead. LinkedIn Sales Navigator allows you to group leads in any way to make it easier to organize them. If you are already using LinkedIn Sales Navigator for sales purposes, then it might be helpful to distinguish the “influencer leads” from the rest of your sales leads. Log in and “like” content shared by your target influencers. This will help you create some visibility in the influencer’s world. Comment on what your target influencers are sharing in order to add value and increase opportunities for engagement. Re-share content that is shared or created by influencers via your own LinkedIn account. When you share an article, mention how you became aware of a post or article by tagging that influencer in your share (to tag someone, type @ followed by their name). Share an article and mention the influencer who wrote it. If you’re planning to attend a conference, post about your plans and tag some of the speakers/influencers you’re most looking forward to hearing speak. Add a thoughtful comment to something an influencer shares, then post a link to the post that you commented on mentioning that you’ve added your opinion, or that there is a great conversation going on there. Use hashtags on LinkedIn they way you would on Twitter to broaden the reach of your shared content. Compile a handful of great articles by influencers on a topic, write short descriptions for each article and post them as a “top reads” article to your LinkedIn profile. When you share, make sure to tag each influencer/author. After an appropriate amount of time has passed and influencers have become familiar with you, reach out to them and make a connection request. Online relationship building typically starts in social networks, then progresses to email exchanges and sometimes phone conversations or in-person meetings. By the time you’re planning a phone call with an influencer, or you feel they’d recognize you and take an unscheduled call from you, a LinkedIn connection request is likely to be accepted. As your LinkedIn profile is connected with influencers in your industry, people viewing your profile will begin to ascribe more authority to you because of these influential connections. Remember, there is no rush. When it comes to influencer outreach and engagement, you’ll get the most from your relationship building if you strive for credibility, mutual support and trust. Good relationships take time – and they stand the test of time. Note to readers – I want to clarify that this is not a LinkedIn sponsored post. The fact is, I am a paying LinkedIn Sales Navigator subscriber and I have struggled to find ways to use it productively. What I found was that it was very effective for efficiently tracking influencers and suggesting opportunities for engagement, so that’s how I’ve ended up using it. I’m not a fan of everything about the way LinkedIn Sales Navigator works and I have all kinds of constructive criticism for LinkedIn about how to make their products better. So far, no one at LinkedIn has asked for my opinion.